We are in Lukla! 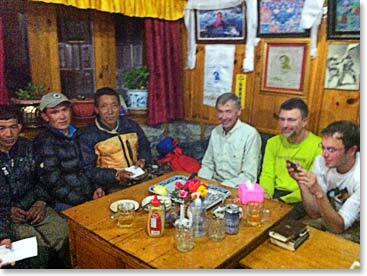 We made it this afternoon after a great last day of hiking in the Khumbu. 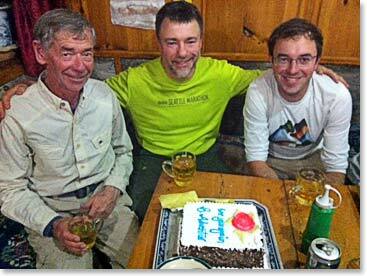 Once we arrived we had a celebration party with climbers and staff. 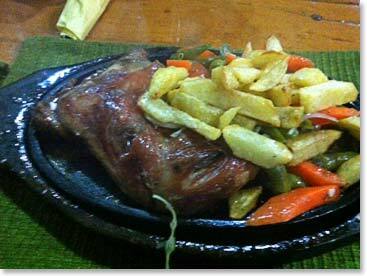 We had chicken sizzlers and a delicious cake for dessert. Tomorrow we have an 8 am flight to Kathmandu. The weather is looking good so we will hope to fly nice and early. 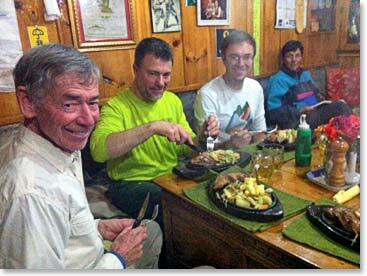 It has been a great day to end a great expedition in the Khumbu. 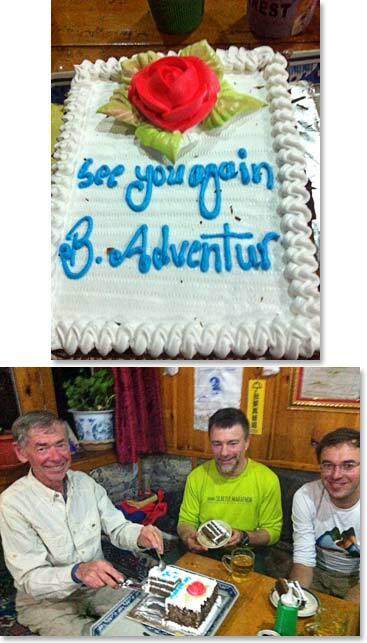 Congratulations again to the Island Peak climbers! 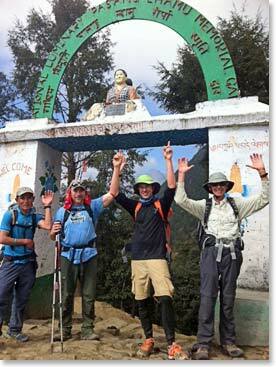 The team excited to arrive in Lukla.